As a result of New Jersey’s robust competitive model, consumers are afforded an amazingly wide variety of fresh beer and flavored malt beverage choices at the best possible price. New Jersey, along with 31 other states, operates under what is known as the "three-tier" or "competitive/license" model. Under this regulatory model, manufacturers may not own distributors or retailers. Similarly, distributors may not own retailers. An essential corollary to the prohibition against manufacturers and distributors owning retailers is New Jersey’s Tied House Law. This law prevents manufacturers and distributors from assisting, and vendors from accepting, financial assistance. These rules are critical because the alcoholic beverage industry is fiercely competitive. Left unfettered, manufacturers and distributors could engage in all types of conduct to influence or control vendor behavior. The New Jersey regulatory model, the three tiers – manufacturers (brewers), independent distributors and independent retailers (package stores, pubs, bars restaurants) - are licensed by the state, but given the freedom to meet customer demand. Customer demand is the engine that drives competition between manufacturers, distributors and retailers and the regulations ensure a level playing field for all. As a result, we see a robust industry that is changing to meet customer demand in a competitive free-market environment, free of the corruption and scandals that preceded Prohibition. There are many enforcement mechanisms in New Jersey law. 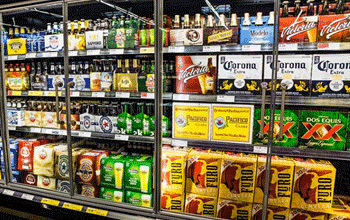 They include a statewide drinking age minimum, limits on locations or hours of sale, criminal statutes, taxes, fines and fees. Further, there are a host of other laws that have eliminated unethical business practices, which could allow for some to preclude others from the market (like buying shelf space or purchasing exclusive sales) or give unfair competitive advantages to some brewers over others. These laws also help protect the small retailer. New Jersey’s Division of Alcoholic Beverage Control (ABC) has a statutory duty to supervise and regulate the alcoholic beverage industry. That’s why it conducts inspections, compliance audits, compliance checks.